Published by Dimira Teneva in Ecommerce case studies. 7 mins to read. Use your data to fuel experiments. Those will lead to results that you can easily replicate in your business. Every failed experiment generates data which also contributes to success – you just need to look for it. In this post, I’ll demonstrate how I use Metrilo to extract data to use in experiments. All examples shown below are based on a eCommerce client of mine in the natural supplement industry. What data do I track for effective email? I conduct a small audit before I begin in order to see how the eCom store is doing. I’m going to focus on the first 7 data points for this post. Each of these metrics helps me make a decision about strategy – whether it is what email sequence to launch or what changes to implement on site. I always start with repeat purchase ratio. 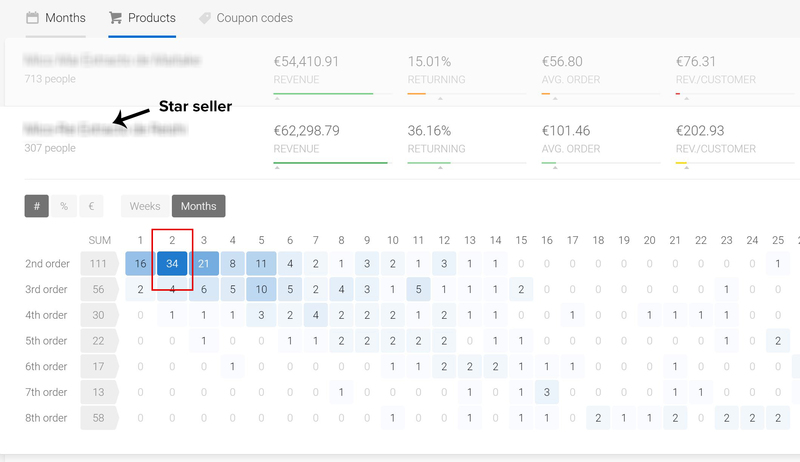 If I see that repeat customers (who come back to shop again) are above 20%, I know there is a good potential and we can use email sequences to bring in additional revenue. If you’re looking for inspiration, Sleeknote has a great post with interesting ways to get more purchases. On probing the business even deeper, I realised this store specifically prescribed supplements to customers based on their medical condition. Prescriptions usually last 3 months. It makes perfect sense we’re seeing 3x more revenue from repeat customers. I then move into repeat purchase ratios. 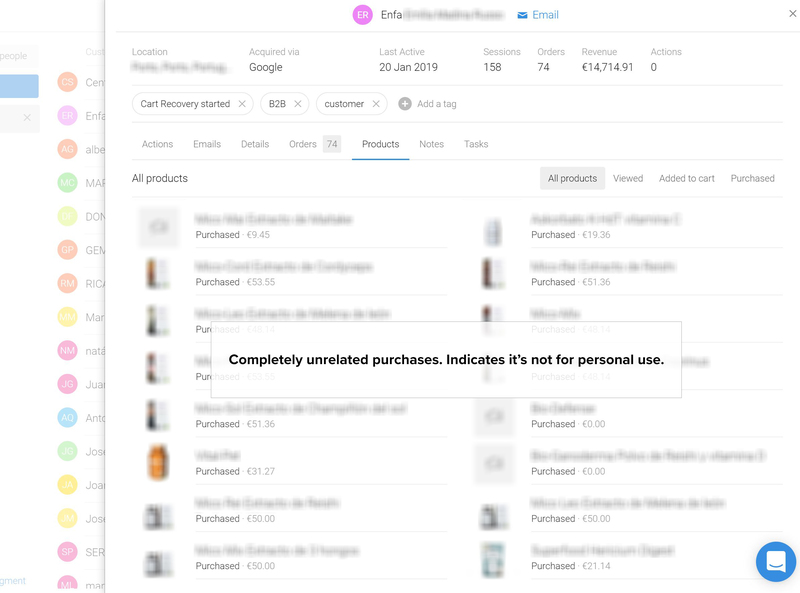 I segment users by product purchased to understand how frequently they return (or don’t) depending on the item. In this case, our best-selling supplement is in the middle, and an up-sell bundle is below it. Basically €100,000 (all-time) came from one star seller and its upsell. We can see the repeat purchase percent is between 36-44%. If we move to frequency of purchase, we see that the majority repeat purchases happen 60 days from the initial order, so it’s a good idea to remind customers they are running low on the supplements. You can see this from the dark blue “34” which shows the most 2nd orders in the cohort are placed 2 months after the first order. These metrics are quite incredible if you look at them from a distance. You start realising that if you increase your AOV by 10% you can make a serious amount on top. They are also great for user segmentation so you can start communicating with high-value users in a different way. I spend quite some time with these numbers as it’s helped us open different arms of business, and I’ll explain why. 4,154 customers spent under €221. If I reverse it, we’re seeing 1,307 customers who have spent over €221. I break down the top 5%, they have spent €1,945 on average. These numbers are very high compared to the average indicating a different segment of customers altogether, which is worth probing into. I see they buy completely unrelated products – this indicates they aren’t intended for personal use, it’s either some sort of a store or a distributor. I isolate these customers and launch a segmented email to them asking for more information. I combine this with a Typeform quick survey, and I incentivise their response with a 20% promo or an Amazon coupon. From the data, we’re seeing B2B customers’ spending seems substantially higher. Maybe there is a correlation with the industry or the type of business which we could exploit. This is really where LTV and AOV shine. I’d like to know if seasonality will play a factor in sales, because if it does, I do all my prep work on campaigns early in the year, so I don’t need to fumble later on. That said, January, April and September present great opportunities to sell more, especially in this sector. January is after the Christmas period, April – after Easter break and September – after the summer holiday. People are more willing to change their lifestyle after holidays or after they’ve indulged in bad habits. This company’s message is all about changes in lifestyle and they offer totally organic products for that purpose. You’ve seen the “people also purchased” feature when you shop on Amazon. I apply the same logic via email, only I don’t need a developer to do it. I’m a solid believer in “once a customer, always a customer” – so I do my best to stimulate an upsell or a new product purchase using the data I find. We can see the main product (Star seller) is most often purchased with the upsell (Upsell A) – by 30% of buyers. Honestly, 30% upsell is fantastic (65 out of 270 orders). It’s this high and we aren’t even promoting it – there is a great potential for bundling options on our site and email funnels for this. 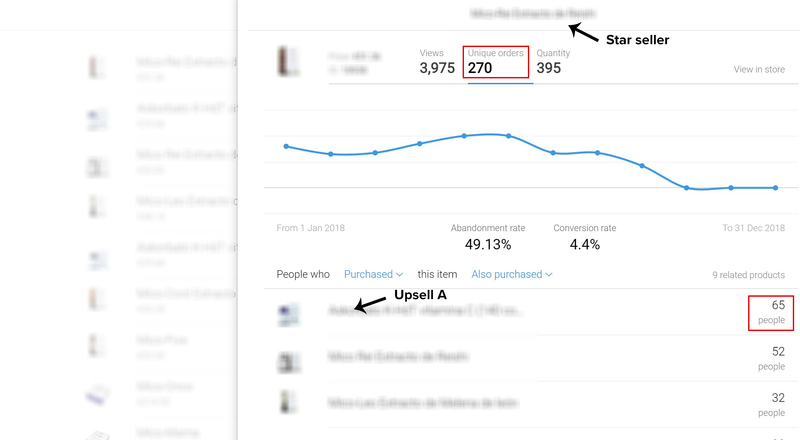 I’ve implemented these five insights into my client’s shop and we’re seeing additional €7,000+ come in through several email funnels. I wish there was a “One size fits all” strategy for email sequences that I could share, unfortunately there isn’t. You really need to experiment with your users and probe into their mindset. I love Copyhackers’ state of awareness guide which has helped me come up with my email content. I also suggest you’re clear on sales funnels and where ToFu, MoFu & BoFu play on your eCommerce site and establish what the objective of each email is. As a rule of thumb, always try to add value when emailing your users. Do so by slicing your data and extracting insights to better understand them and craft relevant emails. Want to increase your eCommerce email subscribers by 3x? I’ve got one hack I use with Metrilo to increase my email subscriptions almost instantly. 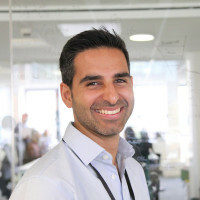 Nitesh is a growth hacker at Growth Runner. He helps businesses identify the quickest ways to achieve their desired outcome in the shortest amount of time. If you’d like to work with Nitesh or simply say hello, you can do so here.